These full sets are perfect for the Modern Diva who needs a quick easy change. A special buffer is used between the nail and acrylic, we create then a custom fitting overlay that can be removed and re-used. 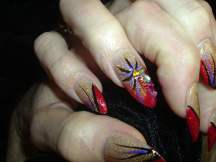 These nails have had great reviews from Divas and they say they really like them. 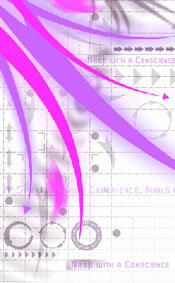 They can be easily reapplied professionaly or by yourself with nail glue. Removal Kits are available, soak of with water and oil. Starting at $75 for active length Additional lenght $10 and up, designs additional.